This is the Titanic on the water, before it sank. The Titanic was a ship that hit an iceberg. I think we should honor and remember the Titanic because it had two layers on the bottom and most ships only had one, but it sank anyway on its first try. 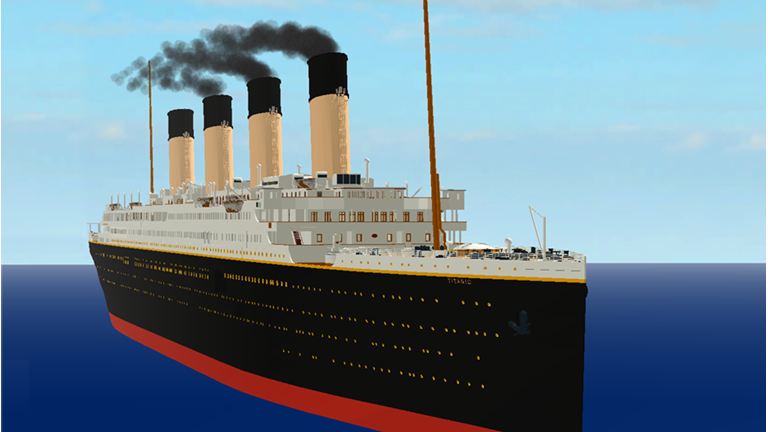 The Titanic had four smokestacks. The one at the end was fake, just to improve the look of the ship. The Titanic hit the iceberg like this: one of the lookouts saw the iceberg, and yelled “Iceberg!” The ship tried to turn but it scraped the edge of the iceberg. A few minutes later, the ship started to fill with water. Then eventually, the ship sank. Only some people survived. Some people survived by getting on lifeboats as fast as they could. What is amazing about it is that it sank in the middle of the ocean, and lots of people rowed back to land for almost two days, with no food and no water. The Titanic began sinking overnight on April 14 and into the morning on April 15, 1912. We should celebrate this day on April 14th and 15th every year. We all go to West Hartford Center and sing in a circle, songs about history. We drink tea and wear hats. We eat chicken, eggs, fish, pudding, and pastry foods which was what they ate on the Titanic. The end.